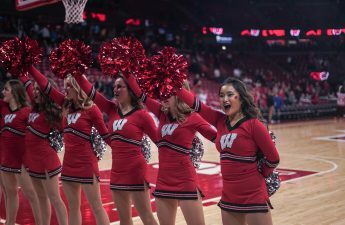 The University of Wisconsin men’s basketball team won their third straight game Saturday, outscoring the University of Oklahoma Sooners by 23 in the second half to cruise to a 90-70 victory. The win avenges the team’s close loss a season ago to the out-of-conference foe and marks a big step in the right direction for a Badger squad that started off the season on a rocky note. Wisconsin was again led by one of their dynamic senior scorers as Nigel Hayes posted a season-high 28 points en route to the Badgers’ second consecutive win over a power-five team. The Badgers started off slowly, trailing the Sooners for the entirety of the first half before turning things around in the second. The game was back-and-forth until a crucial turnover with 10 minutes left from Oklahoma sparked a 15-point Badger run. After a layup from Wisconsin sophomore forward Ethan Happ, Oklahoma tried to inbound the ball quickly but was called for stepping over the line in the process. The crowd and the Badgers subsequently erupted, scoring 15 unanswered to take a lead that wouldn’t be relinquished. Hayes posted another impressive performance, leading all players with 28 points and 6 assists on 8-for-13 shooting. It seems as though Hayes has found his form in the last couple of games after a slow start to the season, most likely due to his improved shot selection. Hayes was attempting five three-pointers a game through the first six games of the season, shooting just 29 percent in the process. Over the last three games, Hayes has shot just two three-pointers, making both of them. He’s shot 58 percent over that span, and the Badgers are 3-0. 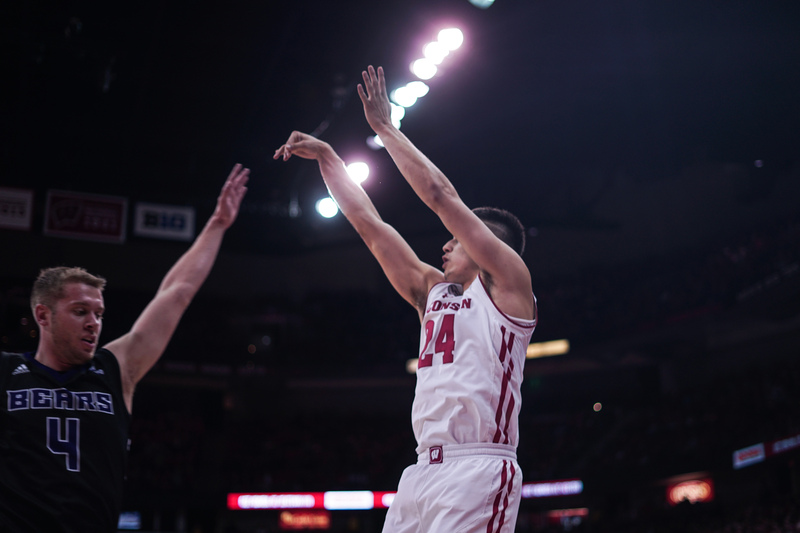 The Badgers also saw a spark from freshman D’Mitrik Trice, who stepped up in a game where senior Bronson Koenig wasn’t shooting particularly well, making just 5-for-16 shots. Trice scored a career-high 16 points on 6-for-8 shooting, including going 4-for-4 from beyond the arc. The freshman is now shooting an astonishing 65 percent (13-20) from downtown this season and is earning himself a regular role off the bench for the Badgers. The Badgers also saw 16 points from Koenig and Happ, highlighting the multiple sources of offense UW can draw on. 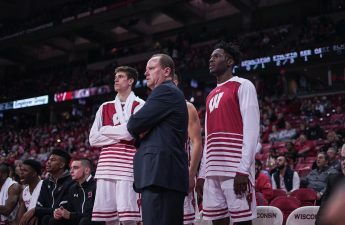 Wisconsin now enters an easier part of their schedule with no ranked opponents before their second Big Ten conference game, taking on a top-ten Indiana University team on the road in January. Wisconsin will be back on the hardwood Wednesday against Idaho State. Tip-off is set for 7 p.m. at the Kohl Center.